Studio Eight is a small handmade business set up by Kirsten O’Keeffe. With a background in Textile Design, Kirsten has always loved art, design and crafts. Studio Eight has been born out of a love to ‘create and design’ personalised keepsake gifts for all occasions. Everything Kirsten makes is lovingly cut, sewn, printed and packaged by her in her lakeside studio in Belturbet, County Cavan. Using colour, pattern, contemporary and vintage style interiors, her lakeside views are a true inspiration. 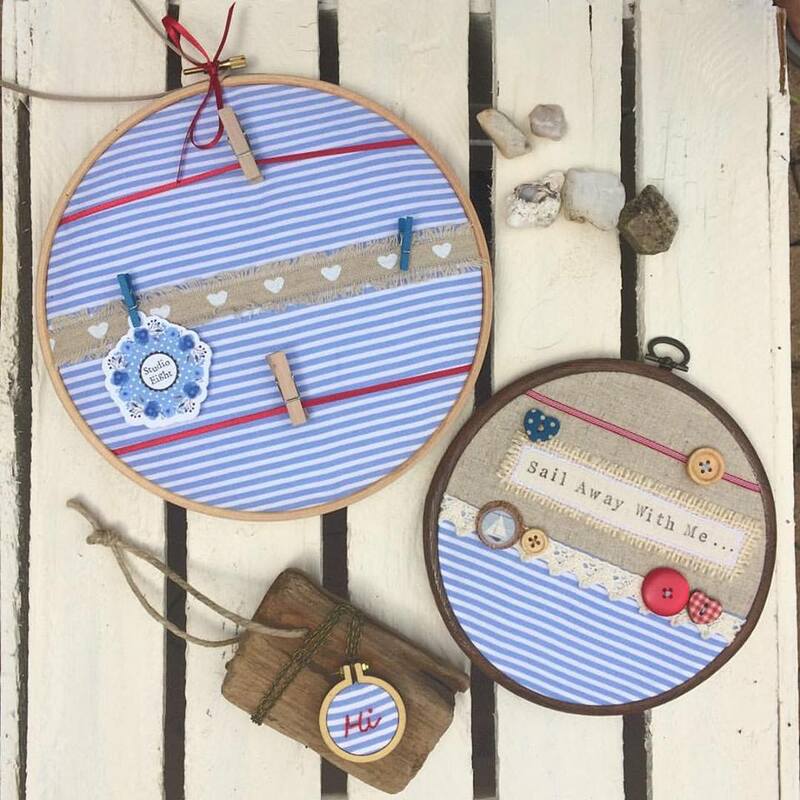 She makes Keepsake Box Frames, Hoop Art, Mini Hoop Pendants and cards to order combining treasured names, dates and occasions as the celebratory feature of the gift. The ethos of Studio Eight is ‘Happy Homes & Handmade’.